For all internal & external applications from 60mm to 250mm wide and up to 3 stories high. Featuring the twist, lock and slide wall tie. 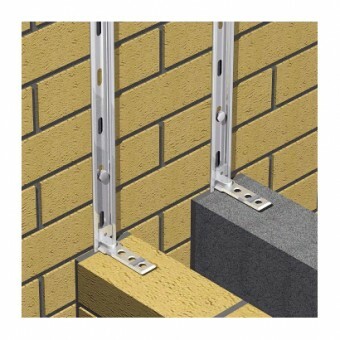 Wall Starter Kit contains all the necessary fixings for a single skin of masonry up to 2.4mtr (8 feet) high. Stainless Steel.